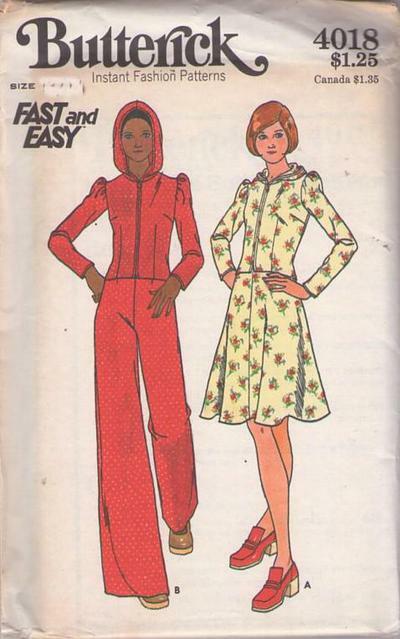 70s Disco Era Casual, Retro Easy Beginners Clothing Patterns - YOUNG JUNIOR/TEEN TOP, SKIRT & PANTS - Semi-fitted top has attached hood, full-length sleeves gathered at caps, separating front zipper, and shaped hemline. Topstitch trim. Fitted and flared skirt and flared pants with darts have waistbands.